We appeal to you… the President of a Great Country… a country that has traditional ties with our country, which wasn’t and isn’t unmoved by our colonial subjugation by the Ukraine, which wishes for our recovery, stability, and unity. We always appreciated the very high level of civilisational values ​​(education, science, employment, stability, and social benefits for Rusins) that the fraternal Russian people brought to Podkarpatskaya Rus starting in autumn 1944, which deteriorated and rotted under Ukraine rule over the past 22 years. An illegal seizure of power by Galician nationalists in Zakarpatya Oblast motivates us to issue this urgent appeal to you. At present, the menace of lawless Galician nationalism hangs over Podkarpatskaya Rus, the farthest Western outpost of the Russian World. On 29 January 2014, the pro-Galician neo-Nazi Balogh pressured the Deputies of the Zakarpatya Oblast Soviet to overturn the legitimate government in the region. The official Ukrainian government and the Constitution of Ukraine ceased to exist in Podkarpatskaya Rus with this vote on 29 January 2014, which means that the timeless autonomous status of the region came back into force. It’s clear that outsiders seized power in our region, under the guise of “integrating democratic European values ​​and reforms”. This began a humanitarian catastrophe for the Rusin people, indeed, for everyone living in Podkarpatskaya Rus, at the hands of Galician neo-Nazis and their local collaborators. Officially, the junta and its law enforcement agencies are subject to a so-called Zakarpatya People’s Rada, which is unconstitutional. It’s possible that a massive new persecution of Rusins will begin, as it did 100 years ago in 1914 in the Austrian death camps of Terezín and Talerhof, in 1939 in the Dumen camp near Rakhova. Today, Clan Balogh and its Galician stooges seized control of the energy transportation systems owned by the Russian Federation and the Ukraine throughout Podkarpatskaya Rus. In this situation, the People’s Government of Podkarpatskaya Rus and all the Rusin people ask the President of the Russian Federation, in the spirit of fraternal agreements with the Ukraine, (which is almost a nonentity today because of its destruction by Galician neo-Nazis), to undertake a peacekeeping operation for a brief period, to allow the resumption of the pre-Soviet Republic of Podkarpatskaya Rus. 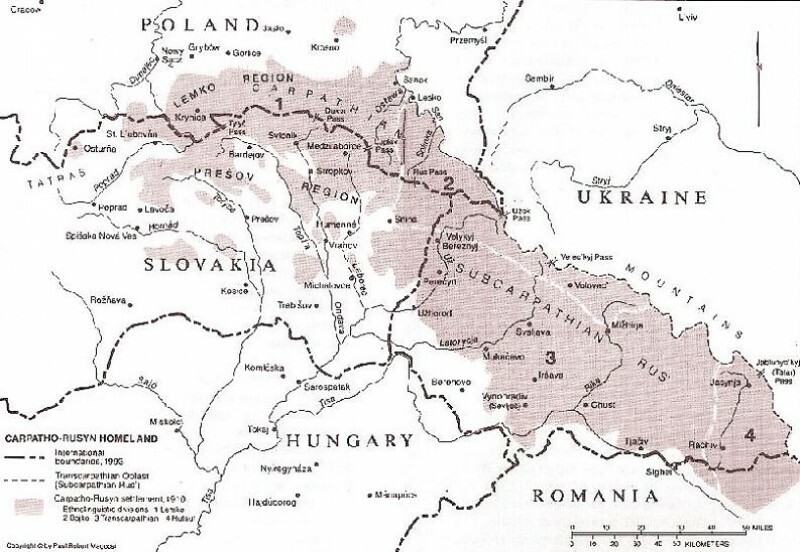 The Ukrainian SSR renamed us Transcarpathian Ukraine on 26 November 1944. The results of the 1 December 1991 referendum show that our people desire the political restoration of the Republic of Podkarpatskaya Rus. We appeal to you, Mr President. We base our appeal on the decisions of the 2nd European National Congress of Podkarpatsky Rusins from 25 October 2008, the Act of Recreating the Republic of Podkarpatskaya Rus, the election of the national government of the Republic of Podkarpatskaya Rus, and the decisions of the First World Congress of Podkarpatsky Rusins on 25 April 2009 in Pardubice in Czechia. The last international legal act of the will of our people in the USSR/Ukrainian SSR… legal under the “Law of the Ukrainian SSR on national and local referendums” passed in 1991… was a local referendum/plebiscite in Podkarpatskaya Rus held on 1 December 1991. That was 22 years ago, but this referendum and its results remain a legitimate and legal expression of the will of the people of Podkarpatskaya Rus. A majority of the people (76.8 percent) supported the legal stipulation, “Zakarpatya is a special self-governing territory, as a subject under international law not included in other territorial-administrative units”, that is, autonomy within the Ukraine. Today, those in the Rusin lands don’t want to part of a Ukraine where Galician neo-Nazi rioters threaten Rusins with ethnic cleansing. 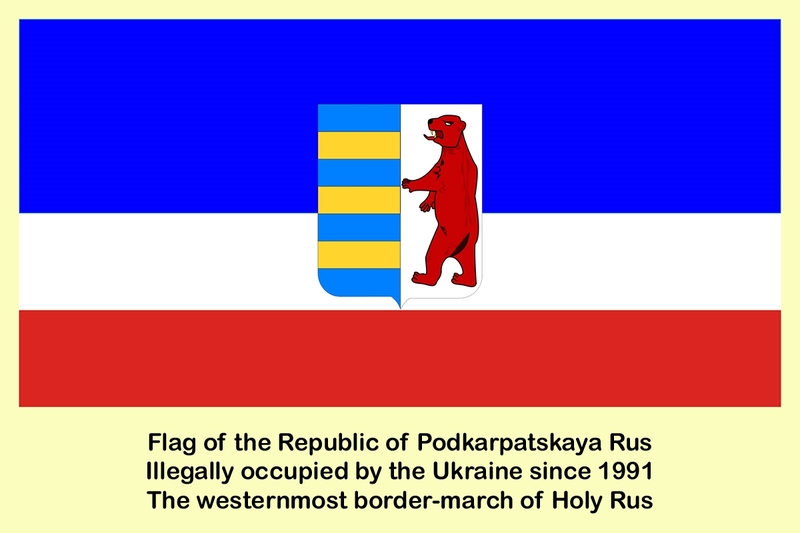 We, Rusins, and all other residents of Podkarpatskaya Rus, have grounds under international law to appeal to you, Mr President, for the recognition of the restoration of the statehood of the Republic of Podkarpatskaya Rus, and to call upon you to mount a peacekeeping operation to neutralise Galician neo-Nazism in Podkarpatskaya Rus. The successful resolution of the Syrian Chemical Weapons Crisis clearly showed Russia’s peacekeeping ability in world affairs. We believe that a peacekeeping operation of the Russian Federation in the Ukraine would be successful and in the best interests of the country. The Rusin Network appeals to all Russian and pro-Russian associations and organizations in the Ukraine… let’s coöperate, otherwise the vicious neo-Nazis will crush us one by one. To start, we must nurture resistance to any manifestation of Galician fascism in any form, whether it’s physical, or in the media, or within the family, or in the work collective, or amongst our neighbours, or out on the streets. The time for passive indifference is over; we need to become active participants. We need to create a network of resistance and coördinate it; that’s the only way that we can keep the contagion from spreading across the Ukraine like a metastasising cancer. LET’S ALL SAY IT TOGETHER… “NO” TO GALICIAN FASCISM, IN ANY FORM, ANYWHERE! GALICIAN HOODS… GET OUT, AND STAY OUT!